Elsa Charlston Interview with Bruce Duffie . . . . .
As listeners to my radio shows and readers of my interviews know, my chauvinism for Chicago and its superlative musicians is not something I try to hide. Their world-wide fame is justified in both live concerts and on recordings. The large ensembles are well-known, as are many of the individual performers and composers. Several of the colleges and universities boast outstanding faculties, produce leaders in many fields and hold prizes ranging from the Nobel and the Pulitzer to numerous others. One such luminary is Elsa Charlston. A brief biography follows the text of this conversation, but suffice it to say that she brought strength and vision to her performances, and now passes along that knowledge and wisdom to the next generation. 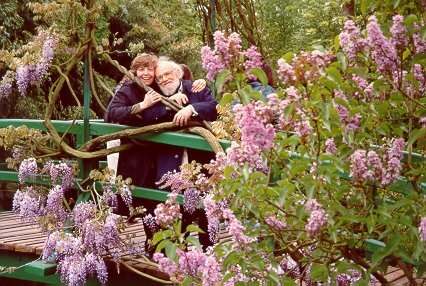 Not only are her own experiences valuable, but as the wife of Ralph Shapey, she was part of a special era of new music. 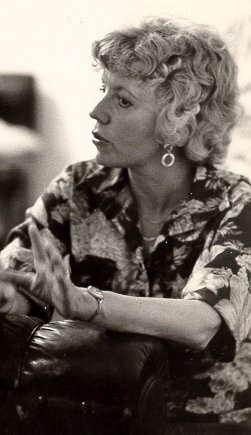 In May of 1995, I had the pleasure of sitting down with Elsa Charlston to discuss various facets of her career, as well as ideas and details she had gleaned on her journey. Ever bright and bubbly, we teased each other numerous times about the state of music both old and new. Names which are links refer to my interviews elsewhere on my website. Bruce Duffie: You sing both early music and new music. Tell me the joys and sorrows of going from style to another. Elsa Charlston: [Holds out “oh,” as if this is a tough question] Oh, my. [Laughter] That depends on how they’re presented. For instance, if I’m doing a recital where I have my choice of what’s going to be on the program, I go from 19th century to 20th century music, or 18th century to 20th century music. I don’t find it a big problem. I try to select things that are somewhat compatible so I don’t have to go completely to a totally different kind of style. BD: Compatible in vocal style, or in text and ideas? EC: Compatible vocally, because if you’re doing a recital, you have to survive the whole program, and sing well at the end. And yes, as far as ideas are concerned, too. That would be good programming. But in terms of just sheer survival, one has to be careful about programming. I did program, once, a piece of Ralph’s on one side of the intermission, and a piece of John Eaton’s on the other. Then I followed John’s with a group of Brahms, and I did survive that. Someone commented to me afterwards, [incredulously] “How did you do that?”, and I said, “You know, I didn’t really even think about it.” I thought it would be a nice place to put Brahms, and have something very settling after two such outrageously wild pieces. And Brahms is so great. His music is so wonderful that it was equally powerful. I don't like this whole notion of ghettoizing new music. I think new music should be put in programs with regular repertoire, especially in chamber music concerts and recitals, as well as big concerts. BD: So, more than just taking into account your voice and your needs, you also think about the audience and their needs. EC: Oh, absolutely. I always take that into consideration. That’s part of my responsibility as an artist. It's anyone’s responsibility to take that very seriously. BD: Now you say it’s good to not ghettoize the new music. If you’re giving a mostly Baroque concert, do you try to give also some new music in that? EC: Not in a Baroque concert. I have to confess, I haven’t done that many Baroque concerts. I did them a long time ago, in the late ‘60s at the University of Chicago. With the Collegium, I sang a good deal, and that was all Baroque music. I did work with Laurence Libin, who is now the head of the department of old instruments at the Metropolitan Museum in New York. He took that job as a young man, right out of the University of Chicago. I did this recording of this music by Heinrich Schütz, In lectulo per noctes, for three bassoons and harpsichord, and soprano and alto. But I haven’t really done that much since then. I haven’t had the opportunity to sing that much Baroque music. BD: Then is it safe to say that perhaps you yourself have been ghettoized a little bit? Once they found that you could do the new music, then everyone wants that. EC: [With certitude] Indeed. Unfortunately I’ve had to fight to do standard repertoire. [Laughter] I went through a long period back in the ‘70s of telling people that I couldn’t wait till I got to this stage where I am right now, because so much work came my way. And I did it! You don’t walk on that other path when this one's laid out for you. You have to do it. But I was very eager to get to the point where I could call my own shots as far as my repertoire. And that had to come, for me, in recitals. BD: Why is there such a paucity of people who are willing and able to sing new music? EC: That’s a very good question, and a very hard one to answer. I know singers are afraid of it. I have been teaching at DePaul University for a couple of years now, and I’ve been giving courses in 20th century song literature. When we put the word out that this course was being offered, I thought, “Oh, boy, all of these people are gonna come running,” [voice drops in disappointment] and they didn’t. But the ones that did come were the ones that really wanted to do it, and were really interested. And that’s fine. It’s always a very small number, though, but they’re serious about it. BD: Do their teachers tell them, “Stay away from that stuff, it’ll ruin your voice”? EC: In general, that’s true. They have their circumstances prescribed for them by what is expected of a student at the time of their juries. They’re expected to know a certain amount of music from each period, but the last period, the 20th century period, never stretches far enough, at least as far as the kind of repertoire they’re singing. I think people are still very much afraid that singing modern music is going to ruin their voices. BD: Well, then, should we perhaps go en masse to the deans and the heads of departments, and say, “Look, give 20th century music its due just like you give the 19th and the 18th”? EC: Yes, that’s what should happen. All voice departments require something from the 20th century, but their choices are usually music that is not challenging. The teacher should offer something that is really wild and adventurous. I do this to a certain degree with my students. BD: Then let me ask the question straight out: is it possible to sing this music regularly, and integrate it with the older music, and not ruin the instrument in the throat? EC: Absolutely. What ruins the instrument in the throat is bad singing. It’s not the music. BD: So you have to sing the new music correctly. EC: You have to sing it well, and you have to sing new things, as you do in any music of any period, that suit your voice. You can’t expect a contralto to sing the music that I sing. I’m a piccolo... or I used to be. [Chuckles] You have to take that into consideration the way you would with any other sort of instrument. You suit the instrument to the music, and there’s something for everybody. There’s less new music for baritones and tenors because the men have not been flocking into this field. They never have. Sopranos, for some reason, always had more time to learn, and they were more inquisitive. They’re the ones that found the composers. Bethany Beardslee and a very few other early singers were the only ones around, and they were just gobbled up by some of those wonderful composers back in the ‘50s and ‘60s. We do have a lot more than when I started. BD: From the standpoint of a singer, do the composers - a few, many, a lot - take into consideration the rigors of the voice when they’re actually writing the pieces of music? BD: ...which is fine if you’re an E-flat clarinet! EC: Yes, right! Very few of them realize what that really means, and so they’re very willing to adjust things like that. BD: When you get a new, untried work, how do you decide if you’re going to learn it and work on it and perform it, or turn it aside for another reason? EC: You practice it. You put it up against the piano and you sing it. You go through it until you get the feel of it, and that doesn’t take long. After you’ve had some experience, you can tell pretty much by even looking at it whether you can do it or not, but sometimes you have to go home and give it a whirl. Never, ever accept a piece sight unseen, and never, ever accept a piece without having done this process in which you discover whether you can do it or not. Even then you have to make changes sometimes. BD: Without naming names, are there pieces or composers that you’ve just turned down flat? EC: That has happened a couple of times. More often, it will be a composer who you’ll say, “I know this person will be willing to make adjustments.” And you can if the piece is worthy. Sometimes they’re not. There’s a lot of music where you think, “This is going to be the first and last performance of this piece.” One can make a whole career on that. [Laughter] But that’s not the point. The point is that every piece, no matter who has written it, no matter what the piece is like, deserves a really superb premiere. How is anyone going to know if this piece is going to be worth its salt if it isn’t really given an excellent first performance, or two or three performances, and maybe even more? 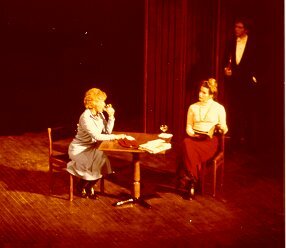 Sometimes it takes that before one can really tell, honestly, because when you’re involved in doing a piece, it’s much more exciting than it is to sit in the audience and listen to it. To me, there’s nothing that is more exciting than doing a new work that has never been heard by anybody else. It’s not a question of whether it’s good or bad, it’s a question of its not having been heard. I feel that and always have. From the very beginning, when I had never heard any new music before, when the Contemporary Chamber Players started at the University of Chicago in 1964, I went to everything. I had never heard any of this kind of music in my life, and I just went through the ceiling with excitement, not understanding anything about it. I didn’t know anything about modern music. BD: It just turned you on. EC: It just was such a gut reaction, and so exciting to me. My identity was formed just by those powerful feelings. BD: I wonder if you are unique in becoming a performer of this music coming out of the audience for this music. EC: It could be. I didn't really just come right out of the audience, cold, but I wouldn’t dare to say I was unique in that. That’s a big statement. [Laughter] I have done music all my life, you know. I have a traditional background in instrumental music. I’d be curious to ask Bethany Beardslee that question because she was there really early on. I had never met a composer, a living composer I mean until those years when they just came flocking to Chicago. So I didn’t know, really, what that was all about. I try to get my students now to really meet a composer. Go and talk to them, find out what they’re like. That’s a big adventure. BD: Then let’s turn the question around. What advice do you have for the composers who are writing music for the voice? EC: If they’re writing for someone they know, whose work they know, then they pretty well know what they’re dealing with. But if they don’t know anything about singing, and they don’t know anything about how the voice works - because it doesn’t work like any other instrument - they should understand that and take that into consideration. And that’s a very difficult thing for someone who’s not a singer to understand. BD: Should they take a few voice lessons? EC: It wouldn’t hurt. Even if they can’t sing, they should have some idea. I’ve never had one do this, but I’ve recommended it. They just don’t have the foggiest idea of what goes into making a singer, but nevertheless, they are all told, in the works that they do, to make the melody sing. The voice is used as an analogy constantly. “Make it sing.” And piano teachers have their students sing while they play. The use of the body as an instrument is a terribly important thing for people who play the external instrument. But for singers who play the internal instrument, it’s a whole different ball game, psychologically and physiologically, and in every way. BD: Then, once again, should we go back to the deans of schools, and heads of departments, and say, “Look, part of the requirements for getting a degree in composition is to take a semester of voice.”? EC: Yes! If they intend to write vocal music, it wouldn’t hurt them at all to study voice themselves, and to observe other people studying voice. Sit in on master classes, and sit in on the experience of singing. BD: Even if they don’t intend to write vocal music, they should take that just to understand, because eventually they’ll be called upon to put a voice into some of their works. EC: Eventually they will. It’s inevitable. I think a lot of composers who write for voice do that. They will investigate. They have to. They have to know all the instruments. BD: Well, the ones who are interested. EC: The ones who are interested in it, yes. And they do. They do. But there are those who write primarily instrumental music, and occasional vocal pieces. Those are the ones that you have to really educate. BD: In recent years we’ve seen new music take many different paths, and it now seems to be coming back to a more lyrical path. Is this a good thing, a bad thing, or just a thing? EC: [Thinks for a moment] I don’t know if it’s a good thing. Things have become awfully nice, and comfortable, and sweet, and peaceful. Nobody’s got the jagged edges out anymore in the way that they used to. It used to just sort of set my hair on end. It’s not the same. I think people are getting very safe. They’ve become very safe in their choices, and they’re doing that as a reaction. The whole 12-tone scene has diminished greatly, and has gone through the minimalists, and it’s now flowering into sort of 20th century-19th century Romanticism. [Laughter] Or something. I don’t know if there’s a word to be used. I don’t think there’s a definition, because things are so diffused. BD: I assume the jagged-edge people are still writing jagged-edge music. EC: Oh, yes, they certainly are, but there are fewer and fewer of them. They’re aging, the really great ones. BD: We don’t get younger ones coming along that way? EC: There are a few, but it’s the same as the abstract expressionism in art. It’s also diminishing, becoming less and less. Not that everything should be that way, but I think that we have to be careful that things don’t get so pretty that there’s just no adventure! There’s no one out doing something totally original. It’s the originality which is missing, and the whole idea of invention, and the whole idea of really doing something that’s totally new, and not something that is categorized as being part of this composer, and part of that composer. People say they heard a little bit of this guy and a little bit of that guy, but what about the guy who wrote the piece? Do we hear anything of him? EC: Right. Derivation has just become so common that it’s hard to find a really original voice anymore. BD: Let me ask this: what is the purpose of music in society? EC: Oh, where would we be without it? I mean, really, where would we be, as a form of expression, a basic form of reflection of what’s going on in our society? It is still doing that, for better or for worse, and in all genres, all the way from hip-hop to Elliott Carter. There’s a long trip there. There’s a big journey from one end of that spectrum to the other. I think that music and art, and all of the arts, if they diminish in our culture, we’re in big trouble. I think it’s a very, very serious thing to see that beginning to happen, and I think it is beginning to happen. It’s being taken less and less seriously by our government, and not that the government should be calling the shots, but they certainly have to support what’s going on, because that’s what’s left when societies die. BD: Ignoring the government, as we probably should do anyway, is it being ignored more and more by the populace? EC: By the populace it certainly is because it’s not being put into our educational system! That’s where you learn it, when you’re small! BD: …blaring from everything. And the mountain of CDs of all kinds of music is becoming enormous. EC: Yes, it is, and how much of it is worthwhile? Especially the elevator music. My goodness, how about silence? What ever happened to silence? That’s when great music is made. It’s made in silence, it’s studied in silence, it’s experienced in silence. It’s what you think about after you leave the concert. But you have to have something there to begin with! And that’s what you’re talking about, what’s there to begin with. Are we losing that? Isn’t that what you mean? EC: Let’s hear it for silence! There’s no moment these days when we’re not bombarded with so much music of all sorts. I must say, though, I heaved a sigh of relief when I walked into a doctor’s office and heard them playing Bach. I thought, “Oh, I can rest with this. I can listen to this and get my mind off of what’s coming up.” Sometimes, you know, that’s a comforting place to have music. But there are also more composers than there ever were. There are a jillion composers out there. BD: Dangerous question: are there too many composers? EC: There are too many, but I’m beginning to wonder what is a composer. Anyone who can sit down and say, “I don’t know anything about music, but I can put dots on paper” will come in to a music school. They’ll skip all the traditional fundamental things that are still there to know about music, and they just jump ahead to what’s on their own personal minds. It’s the “me first” syndrome. This makes me feel good, so I’m going to write it, and I don’t want to have to learn all that other stuff.” That’s happening a lot in music schools, and a lot of people get away with it. So it creates a lot of people who call themselves composers. BD: Are we getting to a point where performance and composing are going off in two very separate directions, rather than being intertwined as they have been? EC: I suppose that one has to take in this shift that’s happening, this business called “crossover” that’s happening in all different ways. Opera singers are singing Show Boat, and pop singers are painting themselves all up in red and green and purple, and putting lights in their hair, and calling it performance art. That is a combination of music and art and performance. Everyone is shifting every which way. The symphony is doing programs that they have to do in order to get the grants, and those are crossover programs. Those are important things to do. But who knows what greatness is going to come out of that down the line that will be remembered. BD: This has always been my philosophy: just present what is available, and let the public sort out what is great, and what isn’t. BD: Should there always be people on the edge like that? BD: Is there ever any danger that you fall off the edge? EC: [Chuckles] The way things are right now, they’ve never been quite like this in music history before. There’s no way to anticipate where it’s going to go. BD: [Gently prodding] Oh, look a little farther ahead. Where is it going? EC: [Laughter] I don’t think I would even try to answer that. I’m so mystified myself by that question. I think about that a lot, and I just don’t know. BD: Is it like life, that it is getting faster and faster and faster? EC: That’s why it’s unlike it’s ever been in history before. What I think is scary about it is that everything is going so fast now, with the electronic boom here. The whole world is changing so drastically and so completely and so suddenly, and so fast that I don’t know how the arts are going to catch up with it. I don’t think anyone can answer that. BD: But until recently, the arts were leading, and the world was catching up to the arts. BD: Tell me the special joys of doing the works of Ralph Shapey. EC: Well, they are very special to me, obviously. The music he has written specifically for me has been about things that have reflected very much our personal feelings for each other, as is the case when composers write for singers that they love. The ideas, and the music itself, in his case, the ideas of the words and the music. I find it very beautiful. That’s a very subjective thing to talk about. It’s soul music. It’s something I feel very deeply. BD: And yet it’s music that must, then, of necessity, be performed by others. EC: Everyone writes a love song! That’s a universal subject, so it doesn’t matter. The fact that he wrote these things for me elicits this kind of response. But absolutely, they are being done. They’re songs of life, they’re songs of joy, they’re just songs. There aren’t that many of them. He hasn’t written that much vocal music, but what he has written for me, in these last years, is music that I’m sure will be sung by singers everywhere. They should be. Some of them are particularly suited to my voice, especially the earlier ones when I was singing very high. So you have to have someone who has that kind of instrument. But that goes back to what we talked about earlier. It has to suit the instrument. BD: You’ve made a number of recordings. Do you sing differently for a microphone than you do for a live audience? EC: No. I don’t. I sing the way I sing. You can’t sing differently for a microphone. You may have to stand back a little farther from it. [Chuckles] It’s not like training yourself to sing with a mike the way a cabaret singer would. That’s a whole different technique altogether. But for making a recording, they adjust to what the singer does. I don’t think any classically trained singer sings differently for a microphone. BD: So you just sing, and hope the recording engineers know what they’re doing. EC: Right. And I do listen. You have to and they have to. You might have to do a few takes, and hopefully you don’t get tired. BD: Are you pleased with the records that have been issued of your voice? EC: Yes, I’m pleased with them in general, I think. I don’t like to listen to myself, I have to say. I don’t spend a lot of time listening to myself, but, as I remember, I wouldn’t have let them come out if they hadn’t been good. BD: Are you at the point in your career that you want to be right now? EC: [Thinks for a moment.] Yes. I guess I would say that, considering I started singing so late in my life. I didn’t start singing seriously till I was 39 years old, which, if not unique, is unusual for someone who had success as a high singer. But that’s because I started in chamber music, and didn’t even attempt to do opera. It would just never have happened. But considering that I started so late, I think things have worked out remarkably well. I’m now teaching exclusively, and I have taught on the side for many years. I’m having great pleasure, and I have some wonderful students, and I’m teaching things at DePaul that I love. I absolutely love teaching 20th century song literature. I get great pleasure out of that, and coaching chamber music groups for singers and small ensembles. And just introducing singers to this kind of thinking that goes on in chamber music - the relationship between instrumentalists with each other, the give and take of ideas, the talking back and forth, “Let’s try it this way; no, let’s try it that way; no, I think you should do this, and you think I should do…” Singers aren’t trained to do that, ever, and someone has to teach them how to do that, and keep the right kind of attitude about it. BD: Do you teach them how to do it, or do you just open the door and let them walk through it? EC: I open the door and let them walk through, but then we have to have a lot of little talks along the way. [Laughter] I do have to introduce them to it, actually, because very often a singer will get into a chamber music rehearsal, and they will just stand there and wait for things to happen. They haven’t been taught that you breathe together and start together unless they’ve had a lot of instrumental training in their background. If they have, then they do that. As an instrumentalist, as a choral singer, or as a small ensemble singer, you learn that. BD: I would assume, though, that a singer doesn’t spend all his or her time in the studio. They perform in groups both large and small..
EC: Oh they do, but it’s one thing to sing with a large chorus, and it’s another thing to sing in a chorus where there’s one on a part. [Chuckles] If there’s one on a part, then it becomes chamber music, and not too many have had that experience. They’re used to leaning on somebody else. Not many of them have worked as a solo singer with instrumentalists. They really haven’t. They have very little experience in that. And they realize, when they have the experience, it’s an incredible eye-opener for them. Then they can carry that onto any stage anywhere, and have much more insight into what they’re supposed to know and do. When you’re singing your aria, you’re supposed to know what the horn’s playing and what the violins are doing. They’re not trained to listen that way, and that’s something you don’t learn in the studio, and most schools don’t have time to teach that. Singers have to learn so much so fast, because they didn't start their training when they were six, or three, or four, the way instrumentalists did. If they have no instrumental background and they start when they’re 17 and they’re going to college the next year, they suddenly have blossomed with this voice and are thrown into this soup. They have to learn four languages and they have to learn everything there is to know about music. They have to sight read. They have to learn a jillion things and they have to give a recital their junior year and their senior year. How are they going to have time to learn 20th century music as undergrads? They just can’t. It’s too much to do, to get the foundation laid. BD: They can’t just be singers, they’ve got to be musicians. EC: Right. They have to become musicians. Usually they are musicians, at least they are instinctively. But they have to become trained musicians, and it just takes an immense amount of work, and an immense amount of time. That’s why singers aren’t ready as early as people would like. In the last part of the 19th century and the early part of this century, singers who had big careers were trained very early on. By the time they were twenty years old, they knew all about music, but they hadn’t done anything else. They hadn’t gone to college, they hadn’t had the same kind of education. The world was a different place, and it moved much slower, so they could absorb all that. BD: In the end, is it all worth it? EC: Oh, yes. Absolutely Absolutely. If this is what you have to do with your life, and you don’t do it, can you imagine how awful that would be? [Chuckles] It becomes a real compulsion. It’s a commitment, a lifetime commitment - even after the performing career is over. As singers, we stop earlier than pianists or violinists do, but the commitment continues, and it’s terribly important for that time to be taken up by giving back what you’ve learned. That’s just extremely important. It’s a part of the full circle of life. BD: Thank you for all of the music that you have given, and all of the music still to come. EC: Well, thank you for letting me talk about it. 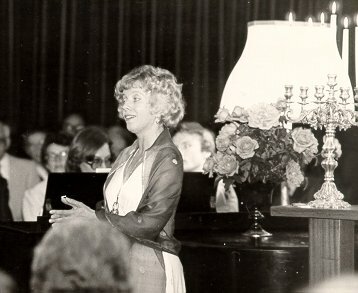 Elsa Charlston is a celebrated interpreter of twentieth-century music and has premiered many compositions by prominent composers. 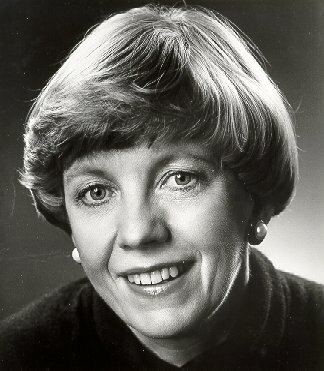 A member of Ralph Shapey's Contemporary Chamber Players at the University of Chicago, she appeared as soloist with the Chicago Symphony Orchestra under the batons of Sir Georg Solti and Carlo Maria Giulini, the Milwaukee Symphony, Minnesota Orchestra, San Francisco Symphony, in London with the BBC Symphony as well as with many of the nation's leading new music ensembles. 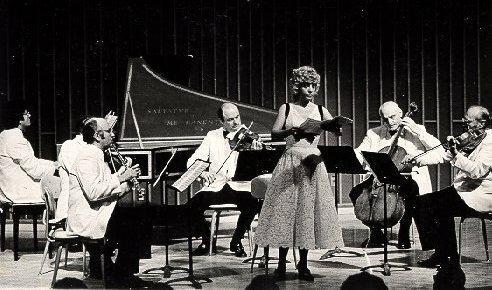 She was soloist with the Berkeley Contemporary Chamber Players, Richard Pittman's Boston Musica Viva with whom she toured Europe, appearing for the BBC and the West German Radio. She made her opera debut with the Santa Fe Opera in the American Premiere of Alban Berg's Lulu and has appeared with the Chicago Lyric Opera. 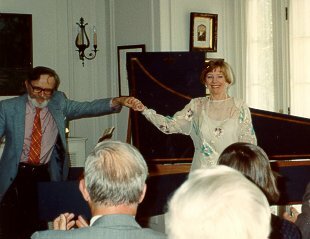 She has been a guest soloist with the Festival of Baroque Music in Saratoga, NY, the Baltimore Chamber Music Society, the First Monday Contemporary Chamber Ensemble in New Orleans, the Don Redlich Dance Company (Pierrot Lunaire), the Bowdoin Summer Music Festival and the Tanglewood Music Center. She was featured at the Almeida Festival in London, at the Edinburgh Festival and in Amsterdam at the Holland Festival. In Austria, she studied and performed at the Franz Schubert Institute in Baden near Vienna. 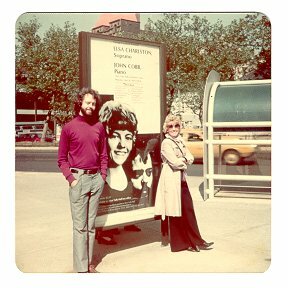 She made her New York recital debut at Alice Tully Hall in 1974. 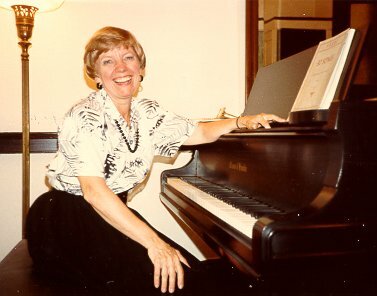 As a recitalist, she appeared frequently in colleges and universities and in 1983 was awarded a solo recital grant from the National Endowment for the Arts which permitted her to give a solo recital at Merkin Hall in New York. Her recordings are on CRI, Opus One, Delos, Northeastern and for the Musical Heritage Society. Photos are from Ms. Charlston's private collection. This conversation was recorded on May 25, 1995 in Chicago, and portions were broadcast (along with recordings) on WNIB in 1997. This transcription was made in October, 2006 and published in New Music Connoisseur (both print and online editions), and posted on this website at that time.